The Small One. 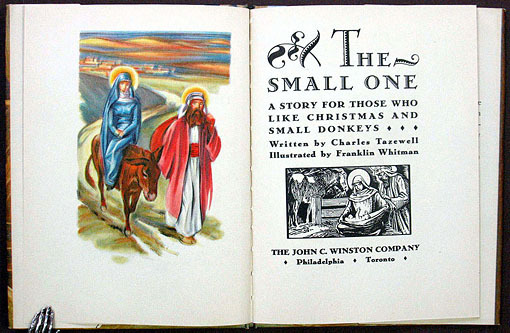 A Story for Those Who Like Christmas and Small Donkeys. Philadelphia / Toronto: The John C. Winston Company, (1947). ￥13,650 (税込み) 20.9 x 15.8 cm. 32 pp., with many color and black and white illustrations throughout. Pictorial boards in full color, with original dust jaket, housed in matching case, previous owner's church stamp on front free endpaper.